* Add a personalized message to your order by selecting Yes on Card and Ribbon and adding your custom greeting at checkout in the Order Notes field. 4 pack parfait includes: 1 each Red Velvet/Cream Cheese, Chocolate Almond Joy, Vanilla/Salted Caramel and Peanut Butter Stuffed Chocolate. 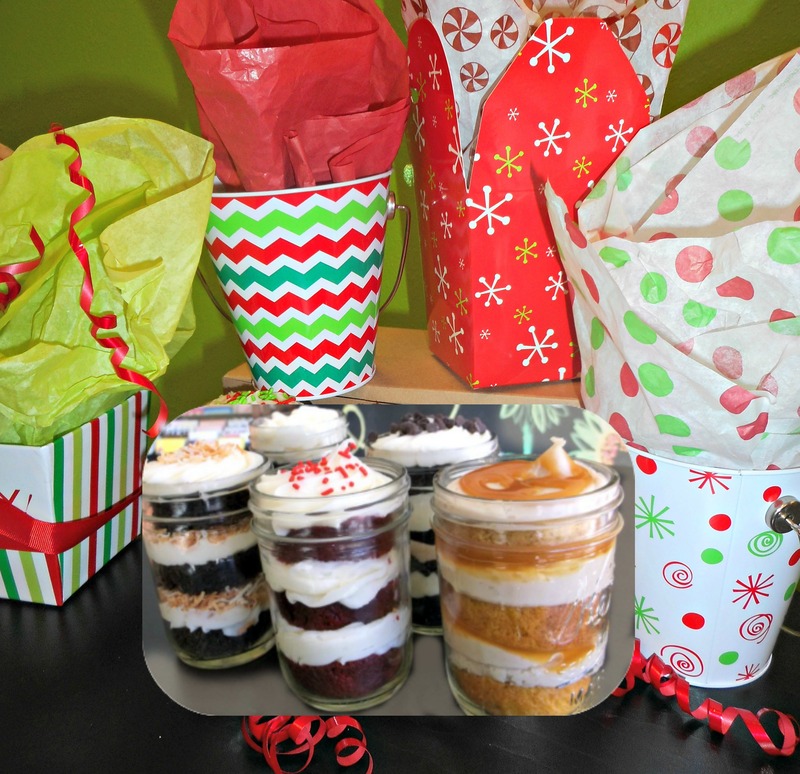 To customize your own cupcake parfait package with your choice of flavor combinations including dairy free, please call 541-678-5057 to place your order.